If you have been charged with a first offense DUI / OVI, traffic or other criminal misdemeanor charge in Sharonville, Ohio, it is likely your first court appearance will be in the Sharonville Mayor’s Court. Whether your case is filed in Butler County, Hamilton County, or in the Sharonville Mayor’s Court will depend on what you were charged with, which police department cited or arrested you and where you were arrested. Regardless, speaking with a DUI or criminal defense attorney is critical. Ohio Mayor’s Courts are unique courts in Ohio that handing only certain criminal misdemeanor and traffic cases. WHAT IS THE DIFFERENCE BETWEEN THE SHARONVILLE MAYOR’S COURT AND THE HAMILTON COUNTY MUNICIPAL COURT? The Hamilton County Municipal Court is a court of record, which means that it has the power to conduct jury trials and its decisions are final (subject to appeal to the Court of Appeals). Unlike a municipal court, the Sharonville Mayor’s Court is not a “court of record,” which means that there are no jury trials — only trials to the magistrate. However, there are some advantages to having your case heard in the Sharonville Mayor’s Court. It is a much smaller court, for example, then the Hamilton County Municipal Court. It is easier to navigate and may be closer geographically to you than the downtown Cincinnati court. Further, the Sharonville Mayor’s Court is in session on Wednesdays beginning at 4:00 PM. This timing may be more convenient for you than a morning court date in a municipal court. 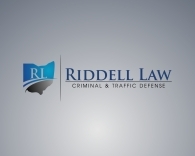 IF I DECIDE TO HIRE RIDDELL LAW FOR MY SHARONVILLE MAYOR’S COURT CASE, WHAT HAPPENS NEXT? First, we will meet either on the phone or in person to discuss your case. Our initial consultation is free. We will discuss the details of your case and explain what we can do to help. Once you hire us, we will appeal on your behalf in court at your arraignment (your first court appearance). We will speak with the prosecutor’s office and obtain copies of their file so that we can begin analyzing potential defenses. If you have been charged with an OVI, for example, we will analyze whether the police officer properly informed you of your rights, properly instructed and administered the roadside field sobriety tests, properly administered any breath alcohol tests, and whether the officer performed any search of your person or vehicle lawfully. We will use this information to negotiate with the Sharonville prosecutor toward reduction or dismissal of the charges against you. If negotiations fail, we will motion hearings and a trial as necessary to find the best outcome given the facts of your case. WHAT TYPES OF CASES DOES YOUR LAW FIRM HANDLE IN THE SHARONVILLE MAYOR’S COURT? WHERE IS THE SHARONVILLE MAYOR’S COURT? The Court is located in the Sharonville Municipal Building at 10900 Redding Road, Sharonville, OH 45241. Court is generally in session beginning at 4:00 p.m. each Wednesday. To schedule your free initial consultation, call our attorneys now at (513) 655-7240. Because we know traffic and criminal charges rarely happen during 9:00-5:00 working hours, our attorneys are on call after hours, on evenings, weekends, and holidays to discuss your questions.